Tottenham Hotspur beat Newcastle United 1-0 while London rivals Chelsea outclassed Huddersfield 5-0. Tottenham Hotspur left it late again, but Son Heung-min's strike seven minutes from time earned a hard-fought 1-0 win over Newcastle Unitied on Saturday to leapfrog Manchester City into second place in the Premier League. Spurs also struck at the death to beat Fulham and Watford in recent weeks to ensure they have kept pace in the league since Harry Kane and Dele Alli were injured. 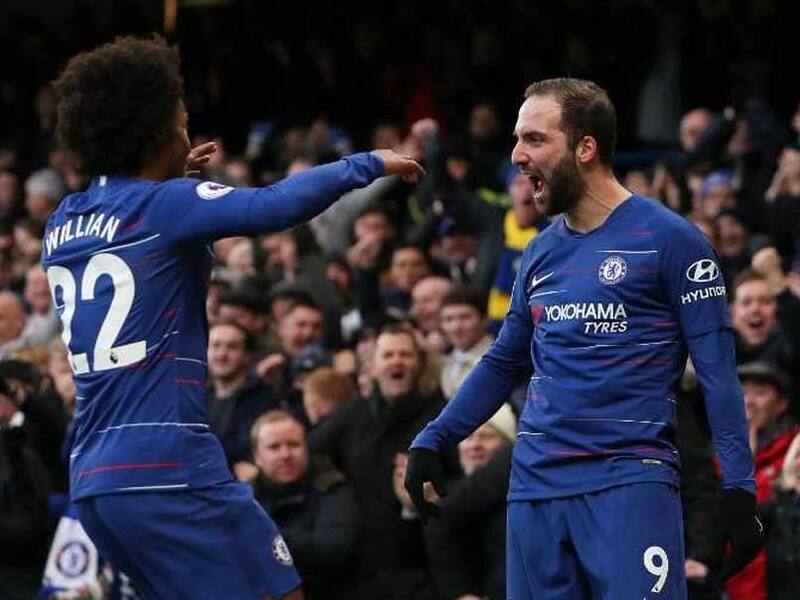 Meanwhile, Chelsea returned to the top four with a 5-0 thrashing of Huddersfield. Eden Hazard and new loan signing Gonzalo Higuain scored two goals each as Chelsea ran riot at Stamford Bridge. In the day's earlier match, Mauricio Pochettino's men close to within four points of leaders Liverpool, who are in action at West Ham on Monday, but just as significantly open up a 10-point lead on Arsenal in the race for a top-four finish and Champions League football next season. Club record 20 million-pounds signing Miguel Almiron did not have international clearance to make his debut so Rafael Benitez named the same side that started against City with the same gameplan to defend deep and frustrate their opponents. Tottenham had the chances to make an early breakthrough and ensure a much more comfortable afternoon. Fernando Llorente was left on the bench after the 33-year-old played the full 90 minutes in Spurs' previous three games leaving Lucas Moura to lead the line. The Brazilian had Spurs' best chance of the first 45 minutes when he headed wide with the goal gaping from point-blank range. Erik Lamela then saw another headed effort come back off the crossbar as Tottenham camped in the Newcastle half. For all the hosts dominance of possession, Martin Dubravka was only forced into one serious save before the break when former Newcastle midfielder Moussa Sissoko turned a well-worked corner towards goal. A similar pattern followed in the second-half, but Newcastle nearly caught Spurs cold with a flowing counter-attack when Salomon Rondon's powerful header from DeAndre Yedlin's cross came back off the post with Hugo Lloris stranded. Lloris also had to make a flying save to turn a curling effort from Perez behind. But the vast majority of the play was up the other end as Spurs laid seige to Newcastle's wall of 10 men behind the ball. Llorente then looped a golden headed chance high and wide moments after replacing Moura.